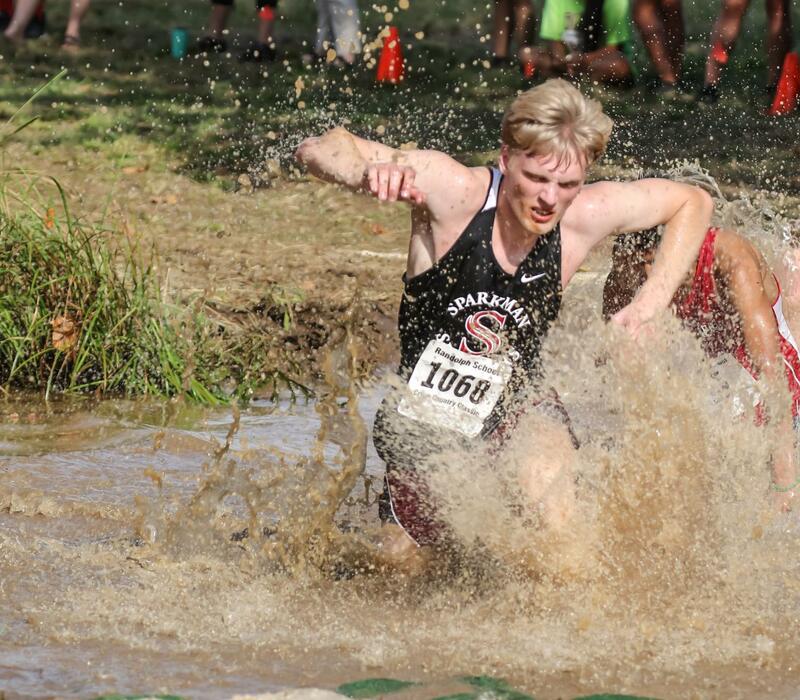 Senior John David Ray runs through a mud hole in the annual UAH Mud Run. The cross country team is four meets into the season and the best runners are making strides. The varsity boys gold team consists of seven boys who are the best runners on the team. The gold team members consist of Omar Myers, John David Ray, TJ Patterson, Jacob Soler, Lee Smira, Austin Al-Dijalil, Johnathon Gubert and Cooper Smitherman. They run against the top seven boys from other schools. The gold team placed seventh overall in the Huntsville Panther Prowl on Sept. 1. Out of the eight boys on the team, Omar Myers places 33rd and, the best placement out of the team. “To get better everyday, I wake up early and run. I constantly work to get better and train harder.” Myers said. The cross country team competed in the Arab mud run at the University of Alabama in Huntsville last week. Two junior varsity boys placed in the top 15. Freshman Patrick Moody placed ninth out of over 250 runners and middle schooler Andy Hoggard placed 12th overall. Moody’s time was 12:35 for two miles and is a new personal best for this cross country season. While the mud run is more of a fun run and is not taken as competitively by the runners, still many runners did well. The entire team placed ninth out of 18 teams. The top runner on the varsity gold team was senior John David Ray. At the beginning of the race, Ray and Myers were neck and neck through mud pits and straight aways. However, at the end Ray broke away and finished with a time of 18:42, finishing first for the Senators team. “I worked very hard to prepare for this race and it paid off,” Ray said.